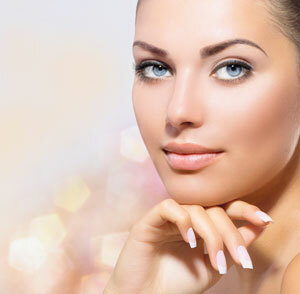 Rhinoplasty is simply the medical term for the procedure also known as nose reshaping or a nose job. It is designed to alter the size, shape and contour of the nose to correct a number of problems or to perfect an already great looking nose. This is a regular procedure in our practice that our physicians are experts at performing. Perhaps one of the most common misconceptions of Rhinoplasty is how people believe that you can replicate a nose (such as a friend, past patient or celebrity). Every nose is different, and more importantly, every face is different. The perfect nose on one person may not be the perfect nose on another simply due to their facial symmetry. Our number one priority is to make decisions based on the perfect nose specifically for you and your face. Rhinoplasty is perhaps one of the more difficult types of plastic surgery available to do very well. Experience surgeons understand that the difference between the perfect and abnormal nose is literally can some down a millimeter. This is so true because our noses are not only distinct, but they are one of the more prominent focal points of the face. Using a surgeon that is experienced and has a track record of successful nose reshaping patients is critical! Septoplasty is most commonly known for correcting a deviated nasal septum. This procedures is designed to correct this issue by straitening and/or repositioning the middle of your nose. This can simple or involve removing or repositioning parts of your septum before reinserting them to their proper position. When the nasal septum, that is the bone and cartilage that divides the nasal cavity in half, is off center or crooked, it blocks the nasal passages and makes breathing difficult. In severe cases, an entire passage is blocked and little to no air can pass through it. Additionally, this can have a drying affect and cause issues such as bloody noses. During your initial consultation, our physicians will consider your symptoms and the physical structure of your nose to determine what the best course of action for the surgical procedure, options and also recovery time.